Spring is in the air! 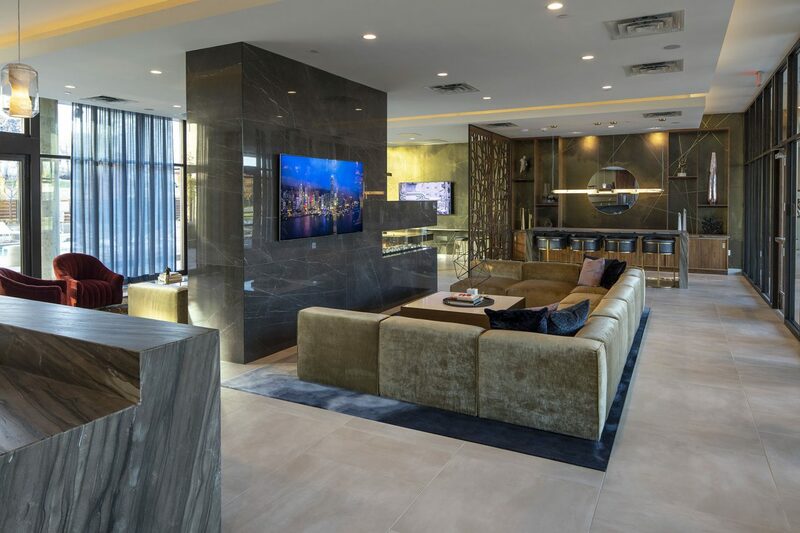 As the weather improves, the inclination to socialize may be on your mind, and luckily, Parkway 25’s gorgeous clubroom is available for reservation exclusively for residents. Whether you live here already, or are seeking a new place to live with amazing social amenities, look no further than P25. Get out of hibernation mode and into party planning mode, and contact us to reserve space or schedule a walk-through today. Our clubroom is set up for events both large and small. Host a chill birthday party, or watch the big game, or celebrate a milestone with your friends and family. Featuring a deluxe catering kitchen with a wall oven, warming drawers, refrigerators, and ice makers, as well as a built-in bar, you can make your own feast or simply bring in your favorite catered meal. Relax with large screen TVs, a built-in sound system, tasteful seating, games, and a stylish, upscale design aesthetic that will impress your guests. 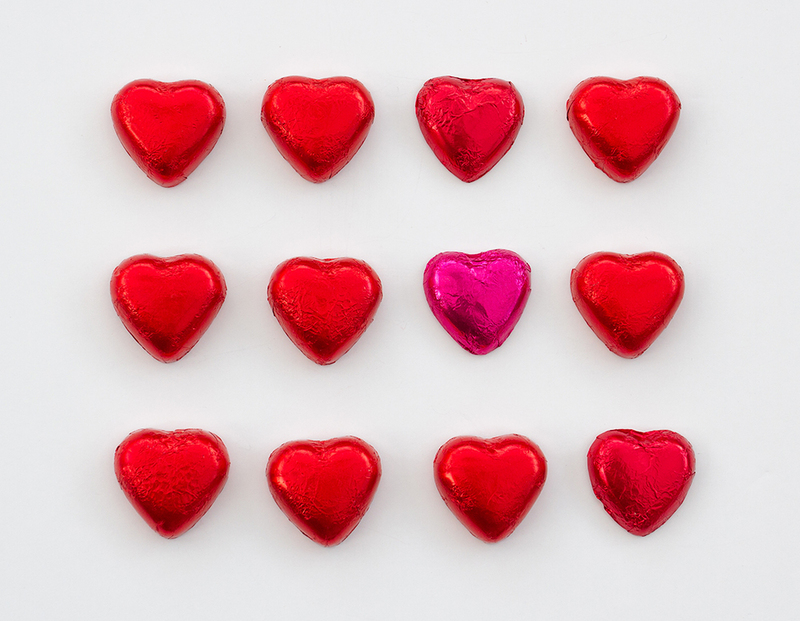 It’s the most romantic month of the year, and at Parkway 25 Luxury Apartments, we’re all for love, especially when it comes in the form of sweet, decadent candy. To charm your significant other (or simply indulge yourself) we’ve compiled a list of cute shops in and around the St. Louis Park area. Enjoy, with love. For the ultimate chocolate lover, the Droolin’ Moose candy shop is about as tempting as they come. Locally-owned with three locations in the metro area, this Minnesota-centric treat hub offers a wide variety of chocolate sweets, as well as V-day gift packages and even a monthly chocolate subscription box that you can have delivered to your front door. We’d recommend the Rustic Blues (sweet blueberries covered in milk chocolate), the Yellow Jackets (almonds covered in lemon cream and white chocolate), or the classic Salty Bogs (chocolate-covered caramels with sea salt). A one-stop-shop for unique designer gifts, Max’s in St. Louis Park also boasts a delectable array of high-end chocolates from around the world. Pick up sumptuous treats such as bars, caramels, truffles, toffee and more with ingredients such as chili peppers, blueberries, and olive oil in them. While you’re there, peruse beautiful hand-crafted jewelry and art objects made by talented independent designers. After all, nothing says “I love you” better than the classic combo of chocolate and jewelry. If chocolate isn’t quite their thing, make a stop at Sweet Jules in Minnetonka, where a glorious variety of rich, chewy caramel treats await. Started by sisters Jule and Hope, this “sweet” little shop peddles handcrafted candy made with real ingredients. Pick up a pretty gift box for your love, or pop in and select a custom array tailored to your own taste. With flavor choices such as banana fosters, beer and pretzel, and French sea salt, these confections will certainly win you cupid points. If it’s a classic candy shop selection you desire, head over to Southdale Center to indulge in an eclectic array of confections, from creamy chocolates to toffees, brittles, hand-crafted lollipops and much, much more. Belly up to the candy counter and create a customized treat box for your love, or select from a wide variety of pre-packaged See’s-brand sweets. Parkway 25 Luxury Apartments’ neighborhood of St. Louis Park has year-round fun in store for people of all ages and interests — and Saturday, January 26th is no exception. 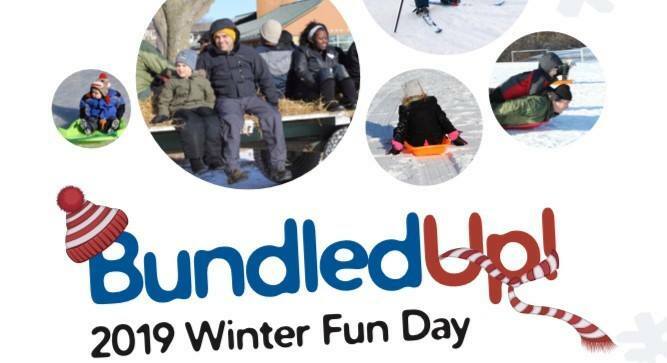 SLP’s Rotary Club and City government have teamed up for the 6th year in a row to host Bundled Up, a fun-in-the-snow outdoor event that features family-friendly activities for everyone. Enjoy the great outdoors at beautiful Oak Hill Park with family and friends, where you’ll experience bonfires, live music, hot cocoa, hayrides, s’mores, and even sledding and snowshoeing (providing we’ve got snow). “Bundle up” in your warmest winter finery and join the community at this fun seasonal celebration. For more info visit Bundled Up’s Facebook event page HERE. If you’re living at Parkway 25 luxury apartments, the amenities extend well beyond the front door! Our neighborhood is full of great restaurants, shopping experiences, and of course, outdoor fun. Regularly ranked one of the top biking destinations in the country, more than half of all Minnesotans take up wheels each year for fitness, commuting, and enjoyment. 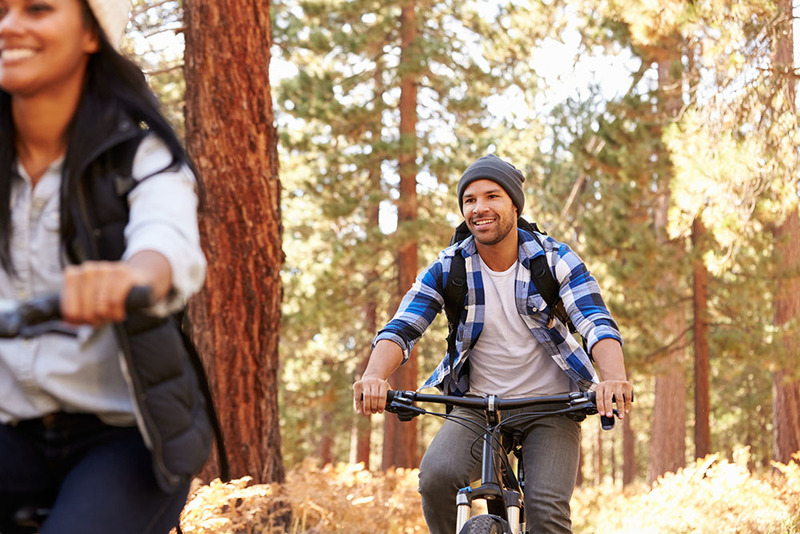 St. Louis Park is no exception, with a number of regional bike trails that connect to Downtown Minneapolis, Chaska and beyond, as well as many bike-friendly parks and lakes. Make the most of the summer by taking a spin in the great wide open! Featuring a 3.6-mile trail that connects SLP to downtown, with a changing landscape and dual lanes for both bikers and walkers. Connecting the Cedar Lake Trail from Downtown Minneapolis to the Southwest Trail in Hopkins, this 4.3-mile paved trail follows the Hutchinson Spur rail line. 5 miles of smooth, pavement connects the Kennilworth Trail to Hopkins and follows the rail line along Highway 7, eventually ending up in Chaska. The Southwest Trail also links east to the Kennilworth and Midtown Greenway in Minneapolis. Just a hop, skip and a jump away from Parkway 25, the lakes are amazing destinations for biking. Take the whole chain of Lakes tour for an extensive 11.5 mile trek, or spin around Bde Maka Ska, Cedar Lake, or Lake of the Isles. When you live at Parkway 25 luxury apartments in St. Louis Park, you’ll have no shortage of gourmet and staple groceries at your fingertips! The SLP neighborhood is booming with both high-end and affordable options. Head to Lunds and Byerly’s for a top shelf selection of produce and deli products — their deli is actually one of the best in the state, with a delicious assortment of housemate salads and sandwiches, as well as a huge selection of meats, cheeses, and oh-so-much more. Don’t forget to stop by the bakery for pie, cake, breads and everything in between. Whole Foods has become a go-to staple in St. Louis Park. 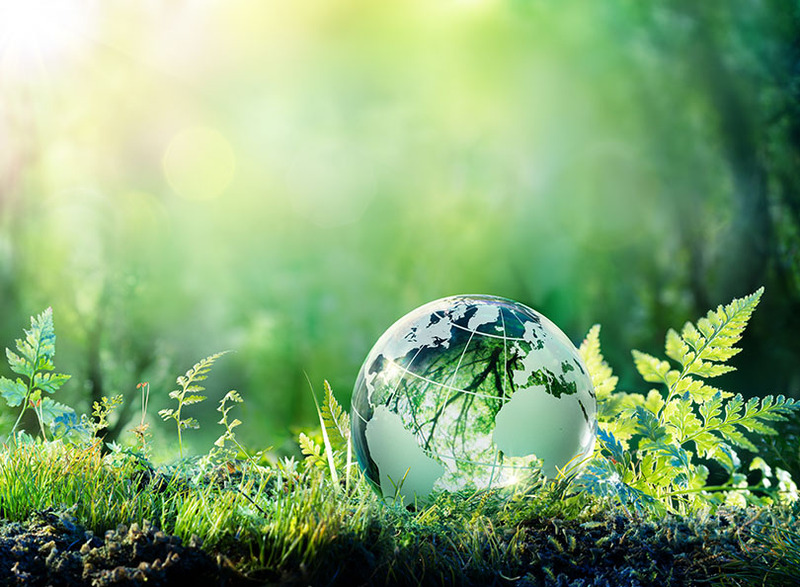 The recently-acquired-by-Amazon national grocery chain errs on the side of all-natural, organic, and fair-trade products, ensuring your kitchen is filled with fresh, healthy foods. Pick up free-range, grass-fed beef from the deli, or hit the freezer section for a wide variety of vegan and vegetarian no-fuss meal options. If it’s value that you seek, look no further than Trader Joe’s. A popular grocery destination for millennials, TJ’s offers plenty of pre-made fare that’s both responsibly-sourced and tasty. If you’re entertaining, Joe’s is the perfect place to pick up easy-to-make appetizers, chips, dips, cheeses, meats and treats — on a budget. If you’re not the chainstore type, take a hop over to the Linden Hills co-op, where most everything is natural, organic, and/or farm-raised — not to mention, the co-op is community owned and operated. 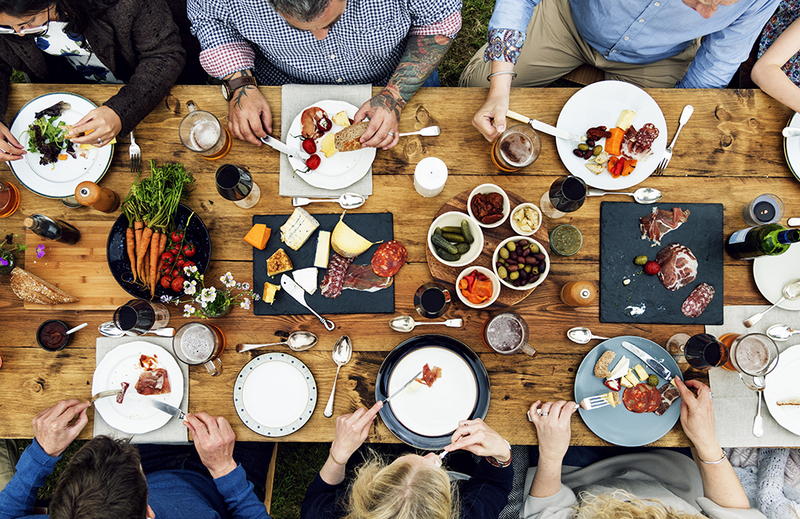 Though it’s a bit more on the pricey side, co-op shopping is a win-win — both for your palate and the organic farming community. Pick up some fair trade coffee, locally-made specialty foods, and fresh-picked produce. 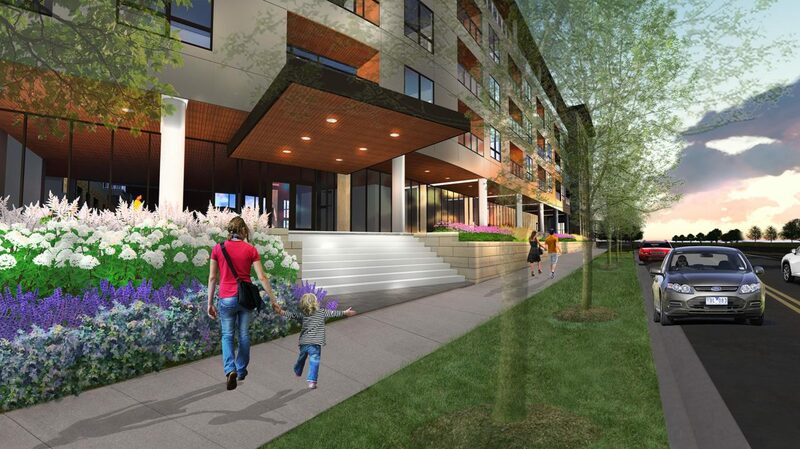 Learn more about the amenities of the Parkway 25 neighborhood HERE. At Parkway 25, a luxury apartment building in St. Louis Park, we fully encourage summer indulgence! And what’s more synonymous with summer, than ice cream? Let your sweet tooth win this season at a number of area ice cream shops (and yes, you’ve got time to hit them all over the next few months). Here are a few of our favorites, in St. Louis Park and surrounding areas. Just a quick jaunt from St. Louis Park in the bustling Lyn-Lake neighborhood, Milkjam Creamery is a necessary summer (or really anytime) experience. Created by World Street Kitchen’s Sameh Wadi (and located right next door), Milkjam is truly a foodie’s ice cream dream. Try rotating flavors that are as delicious as they are creative — think infusions such as Turkish coffee, lavender, curry, coriander and so much more. Milkjam also offers boozy shakes, sundaes, ice cream sandwiches, and many other unique, creamy delights. Go. Now. It’s fro-yo o’clock somewhere! Head to Park Yogurt in SLP, where you can get in on the action with a plethora of soft-serve treats — cold and on tap. Fill your cup with one (or 10) self-serve flavors and follow it up with a visit to the topping bar, where you can go nuts with everything from fresh fruit to crushed Oreos to gummy bears. They’ve got signature and special-edition flavors (think cotton candy, salty caramel, chocolate cake batter and many more), so stop in often to try them all! Well, this one is a no-brainer. 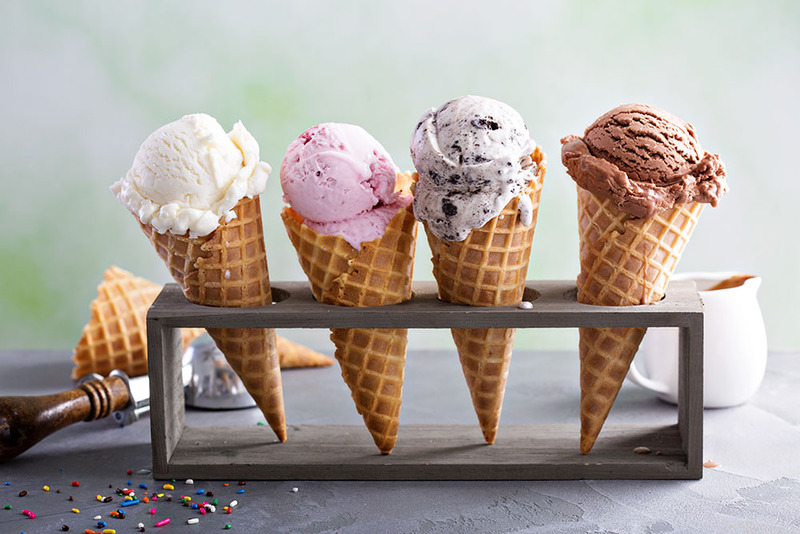 The nationally-beloved, good-natured ice cream duo has stepped beyond your grocer’s freezer and into a chain franchise, peddling their excellent creams of ice. Enjoy a full selection of classic favorites (Chunky Monkey, anyone?) as well as new and limited-edition creations — many of which are B&J’s scoop shop exclusives. Located on Excelsior Blvd, this local fave is an easy choice on a hot summer day. With locations in both Linden Hills and Uptown, you’ll feel twice as nice tucking into one of Sebastian Joe’s huge handmade waffle cones. This longtime Twin Cities institution is a must-eat for lovers of the cold, creamy stuff. Belly up to the counter at this classic parlor and choose from a variety of handmade-daily flavors such as raspberry chocolate chip, Oreo, and other signature flavors such as “Pavarotti” (a vanilla ice cream made with caramel, bananas, and chocolate chips) as well as rotating special edition flavors. Joe’s also makes ice cream cakes, sandwiches, sundaes, shakes, malts and more — they also have a full coffee bar! It’s Farmers Market Season in Minneapolis! Founded in 2012, the Linden Hills Farmers Market has grown to include 50+ vendors. From “Indie-gredient makers” to farmers of produce and proteins, crafters, artisans and even food trucks, this market is an experience in itself. Just a hop, skip and a jump from Parkway 25 and St. Louis Park, you’ll see live music, taste and buy fresh foods, and learn more about the value of consuming locally-produced goods. 312 East Lyndale Ave N.
You needn’t wait for the weekend to enjoy the spoils of the Farmers Market. The Lyndale location is open every day from May to November (rain or shine!). This flagship spot is located near Downtown Minneapolis, tucked away just adjacent to I-94. A sprawling market, you’ll find endless aisles filled with flowers, veggies, fruit, farm fresh eggs and meat, bakeries, pickles, honey, jams, jellies and oh-so much more. Also check out the weekly markets put on by this group at the Government Center (Tuesdays, 9am-3pm) and the Nicollet Mall Market (Thursdays, 6am-6pm). 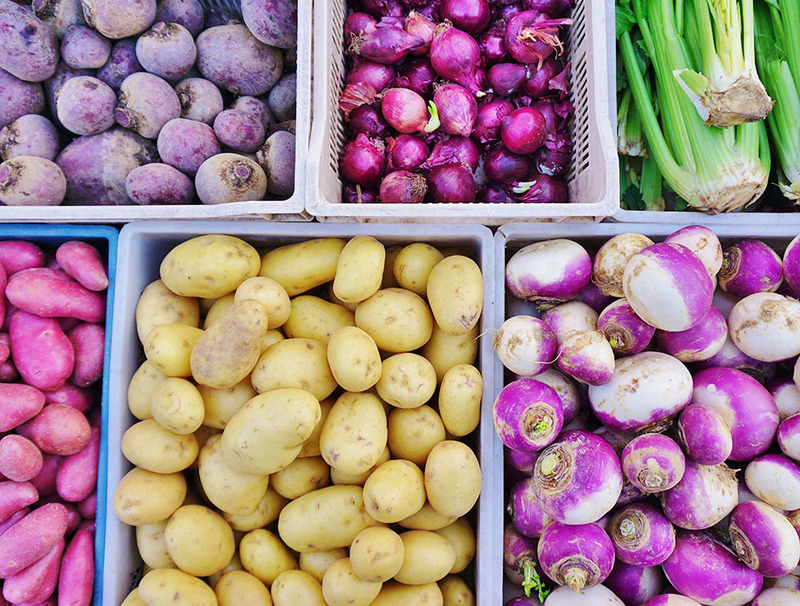 A quintessential Minnesota experience, the Mill City Farmers Market is as fruitful as it is charming and entertaining. Shop a vast number of sustainable and organically-farmed produce, meat and cheese vendors, as well as bakers, prepared food vendors, crafters, makers, artisans and so much more. Enjoy live music, demos and even yoga, if you’re so inclined. The Mill City Farmers Market also switches it up each Tuesday evening, with a pop-up night market near U.S. Bank Stadium (425 Portland Ave S, Minneapolis / 4pm-8pm). Likely the closest market in the vicinity of St. Louis Park and Parkway 25 luxury apartments, the Hopkins Farmers Market is just a mere 10 minutes away. Opening on June 16th and running through October, this cute outdoor affair features tons of freshly-grown produce, as well as flowers, meat, cheese, eggs, baked goods, honey and more from local vendors. Stop by the market’s food truck section for a smoothie, coffee or a handmade snack, then kick back and enjoy some live tunes from local musicians. 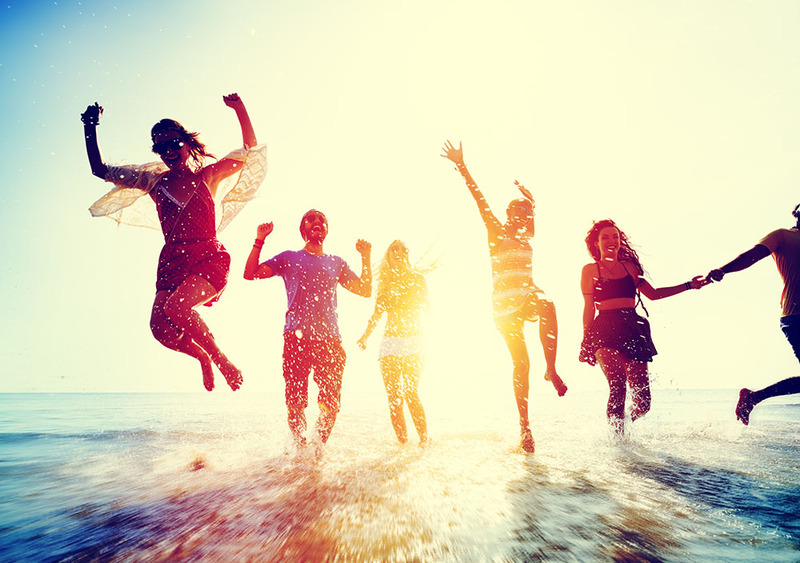 Summer is just about here and that means epic fun in the sun, communing with nature, biking, swimming, boating and much more. The city of St. Louis Park has all that and more, with tons of trails, lakes and scenic sanctuaries all designed to help you connect with Mother Earth — and have fun while doing it. In this post, we’ll run down a few of our favorite local spots for outdoor enjoyment. Experience nature in the city when you visit this sprawling 160-acre preserve. Stroll winding trails through marsh, woods, and restored prairie — you may even get a peek at one of the many wild animals that make their home at Westwood, such as deer, turtles, fox, mink and owls. The park also features a playground for the kids and the Interpretive Center, where you can learn more about the area. 3201 Rhode Island Ave S.
The perfect spot for a summer kickback with friends, Oak Hill Park offers numerous picnic shelters, tables, and outdoor grills for the ultimate cookout. A great spot to bring the kids, it also features baseball/softball fields, basketball courts, a playground, swimming pool, paved trails and more. If you’re looking for an outdoor experience with all the amenities, Oak Hill is a solid choice. The lake formally know as Calhoun is a renowned, city-wide destination. Popular amongst runners, walkers, inline skaters, families and beach bums alike, Bde Maka Ska is your one-stop-shop for fun in the sun. Not to mention, it’s within walking distance of Parkway 25! Enjoy 3 different swimming beaches or rent a canoe, kayak or paddle board and get out on the water. They’ve also got a sand volleyball court, soccer and softball fields, a picnic area and a paved walking trail that rings the lake for a beautiful summer stroll. SLP is connected to three major bike trails that span from downtown Minneapolis, all the way to Chaska. The Cedar Lake Trail, Cedar Lake Extension Trail and Cedar Lake Regional trail will take you through both urban and natural areas, keeping the scenery interesting. Smoothly paved trails make it easy for beginning and intermediate riders to enjoy themselves, while season riders can push themselves to the limit with longer distance rides.